The top TNW Deals this week: Get them before they’re gone! The highlights of the past week at TNW Deals range from a sweet bundle of Mac-enhancing apps, to an intelligent activity tracker. Here’s a quick run through.. 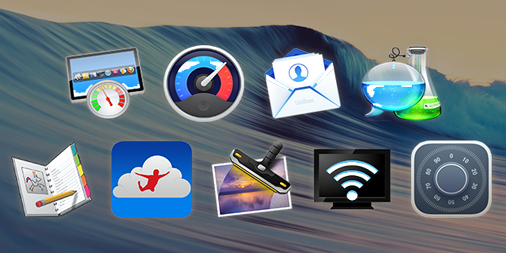 This impressive line-up of big-name apps offers improvements across your whole workflow. 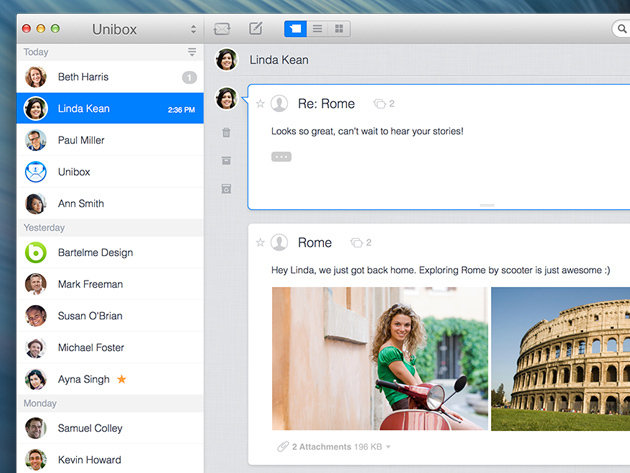 It includes fresh new email client Unibox, and the ultimate OS X dashboard in iStat Menus 5. Noiseless smoothes out the grain in your photos, and Notebook 4 offers several different note-taking formats. Apps in the background can be paused with App Tamer 2 to save power. You can also protect sensitive documents with Hider 2, remotely access any Mac or PC with Jumper Desktop, bypass AirPlay’s restrictions with Beamer 2, and use Chatology as a great alternative to OS X’s Messages app. Order the bundle now for $19.99. Most activity trackers are good for keeping count of the steps you take in a day, but the Fusion adds plenty more functionality besides. Along with a count of the calories you’ve burned, distance you’ve traveled, and the duration of your activity, this bracelet can monitor your sleep in terms of quality and duration. It also has a battery life of a week, and an ion-hardened touchscreen for displaying personal goals and phone notifications. Order it now for $59.99 with free shipping. The best way to learn any skill is to get stuck in. That is the idea behind Stuk.io’s Ruby on Rails courses, which teach you how to build your dream app. No previous knowledge is required to start, and the content is spread over five courses. During the 120 hours of tuition, you follow along with step-by-step instructions to build 24 real apps, which is a good start to any portfolio. More video tutorials are added every month, too. Get a two-year subscription for $49 now. The whole point of a virtual private network is to protect you from snoopers whenever you are online — so VPN Unlimited’s uncapped bandwidth is very welcome. The connection speed is also unrestricted, and there is a list of servers from around the world to choose from. This makes the service particularly good for accessing region-locked content, and it can be used on mobile, too. Get a lifetime subscription now for $39. Security skills are as vital as ever, and this bundle of four courses teaches you how to run secure infrastructure, with the aim of helping you gain four industry-recognized qualifications. Along with methods of avoiding human error, you learn about cryptography and disaster recovery, with exam practice and tips. Even if you just want to keep your projects safe, these courses offer great tuition. Get them now for $59. And finally — if you fancy getting your hands on some of Google’s finest gadgetry, this is the giveaway for you. 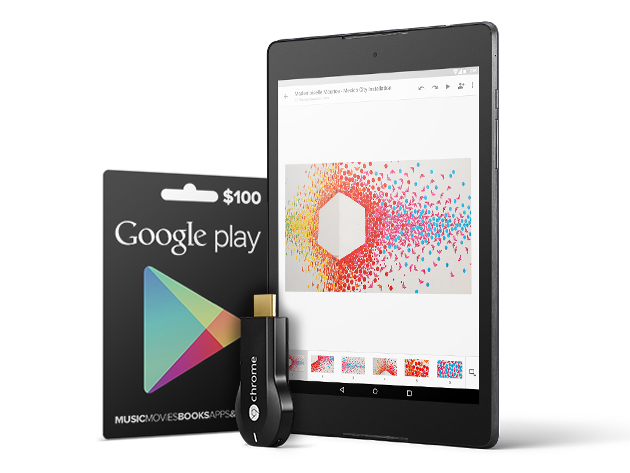 The winner will get a Nexus 9 tablet, a Chromecast stick and $100 of credit to spend in the Play Store. Simply visit the link below to enter, and share on social media for more chances to win!